Don't believe all the accolades from the national press. Come on in and try a pint for yourself! 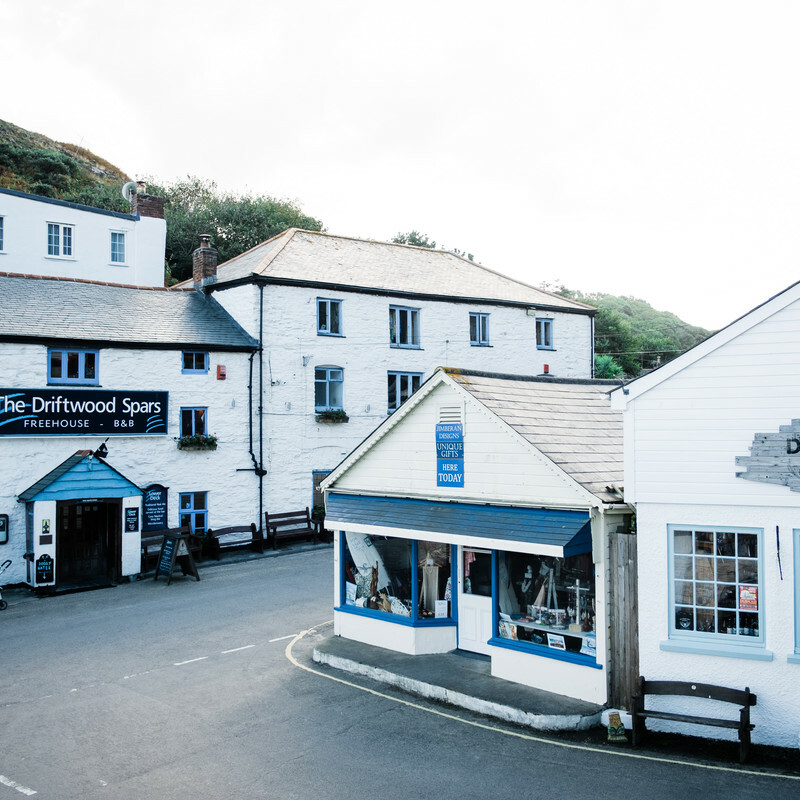 The Driftwood Spars is many things, but it comes into its own as a pub. 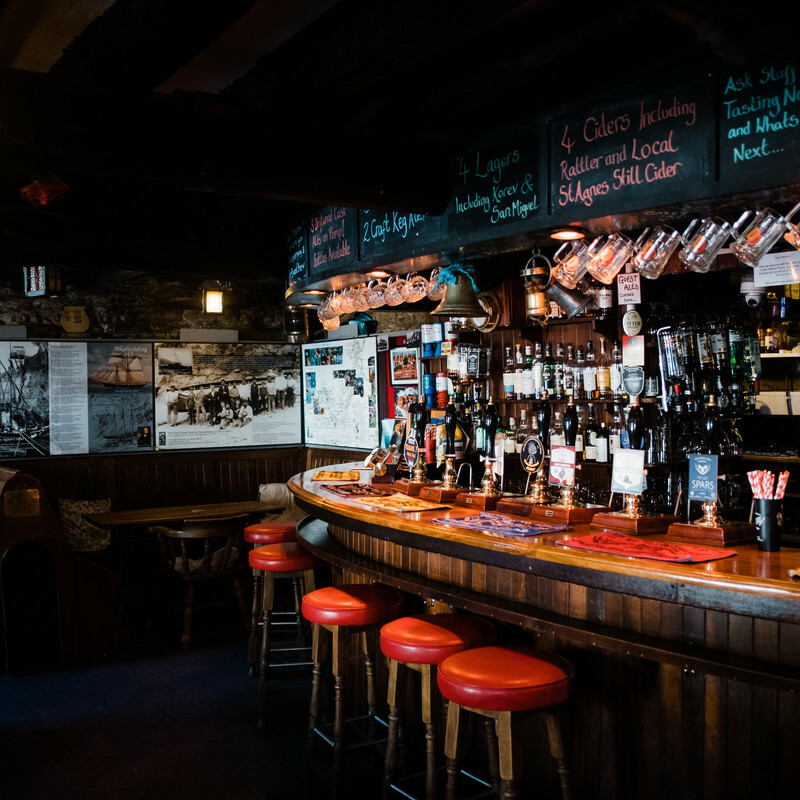 With three cosy bars, complete with wood burning stoves and a fantastic selection of beverages, our team of welcoming, knowledgeable staff are here to offer you an enjoyable and memorable snug pub experience. 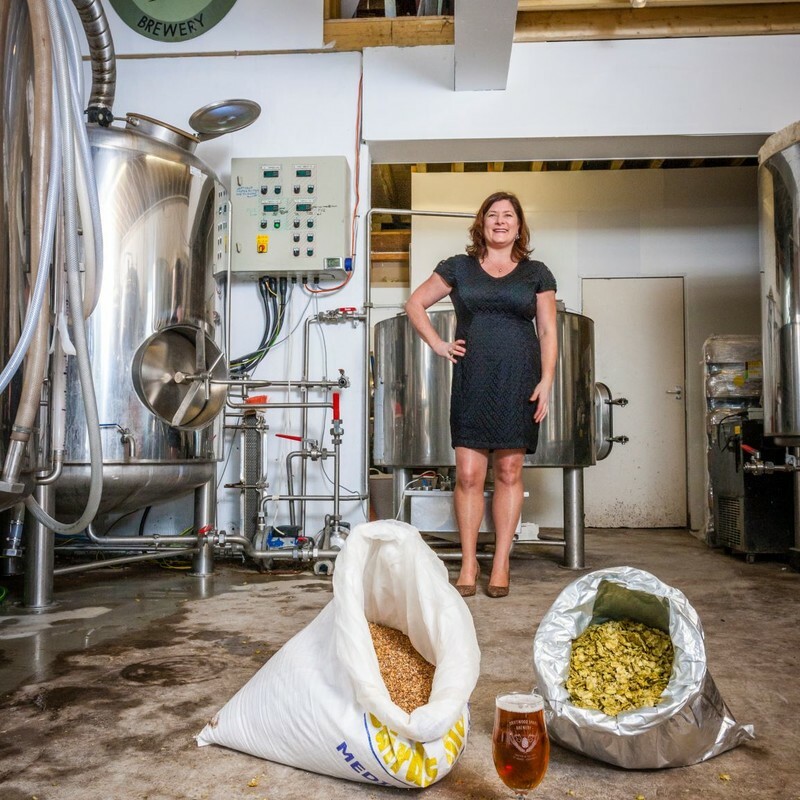 If it's beer you're after, we're renowned for our award winning selection of real ale, brewed in our very own microbrewery just across the road. Our previous awards include CAMRA Kernow pub of the year 2009 and 2010! We also pride ourselves on gaining full marks on every one of our Cask Marque inspections in the last four years, so you can be confident you'll be served nothing less than a fantastic tasting pint, and even better - all of our own beers are certified gluten free! . If beer isn't your thing we have a varied and extensive wine list, including 8 house reds and whites by the glass, a spirit selection that includes 35 malts, 11 rums and a good smattering of brandy, vodka & loads of gin. If you fancy trying something new our staff will be happy to guide you, according to your tastes. Please drink sensibly and we do enforce challenge 25, so don't be offended if we ask to see some ID! Important notice - remember if you're using the pub you don't need to pay for our car park! Please see a member of staff at the end of your visit to collect your car park voucher. Think Beer. Think the Driftwood Spars. 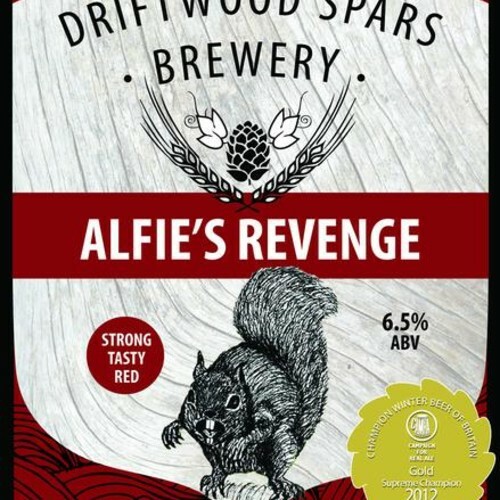 Here at the Driftwood Spars we're very proud of the beer we brew and know you'll love it just as much as we do. Regardless of when you visit, we'll always have three of our own beers available. 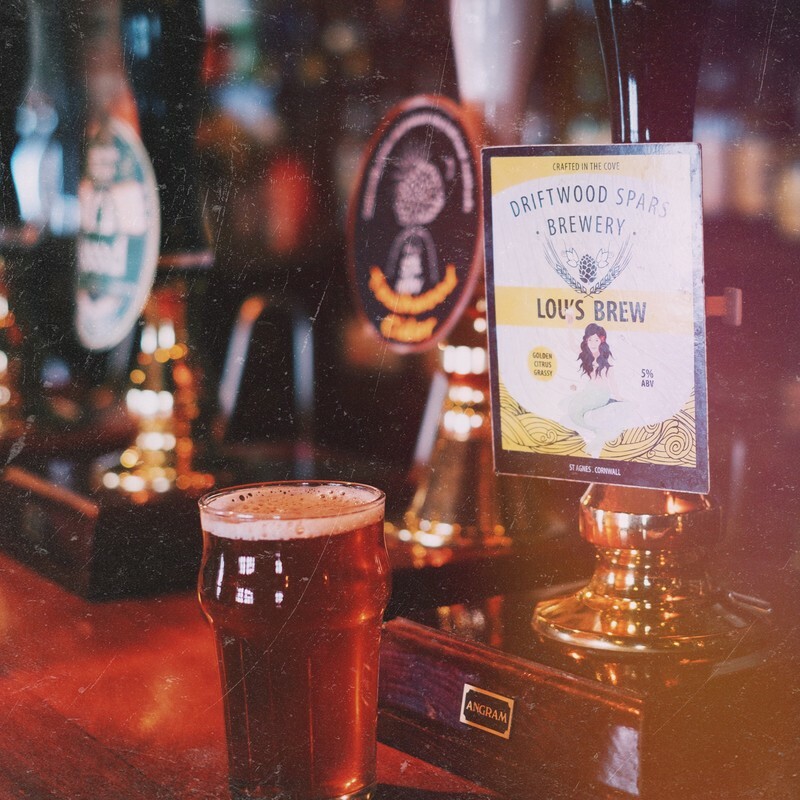 Whether you're sipping at a pint of Lou's Brew or Blackheads Mild we are positive you'll enjoy your pint down to the last gulp. 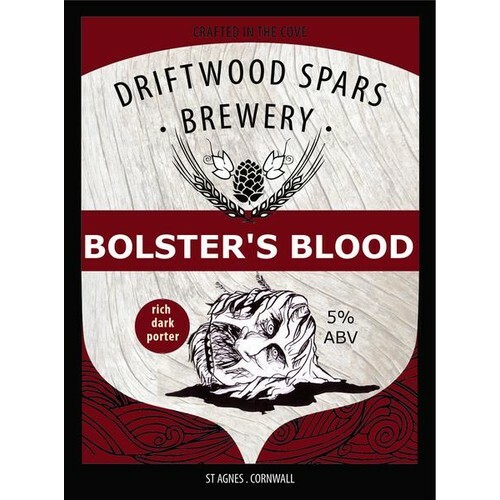 In total we have six hand pulls, three of which carry guest ales from breweries across the country, and three of our very own Driftwood beers! But our love of beer doesn't stop there and neither should yours. We also offer a superb selection of bottled beers from around the world and a couple of keg beers from guest breweries, so use us as an excuse to broaden your beer horizons. If you're dining with us and fancy pairing one of the great beers we have on offer with your meal, just ask one of our knowledgeable members of staff for a recommendation. If in doubt though, the rule of thumb is to chose something that will complement or contrast your food. For example, if you're digging into one of our delicious steaks we might suggest pairing it with Booskor or Blackhead's Mild. 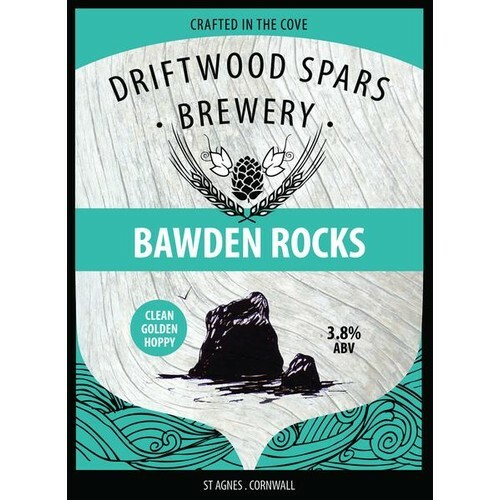 Or if you're feasting on our famous fish and chips, you're going to want a beer to contrast and refresh the palate such as Bawden Rocks or Lou's Brew. It's our promise to you to keep trying different combinations so we're able to recommend our favourites. We see it as our duty, to you lovely customers! 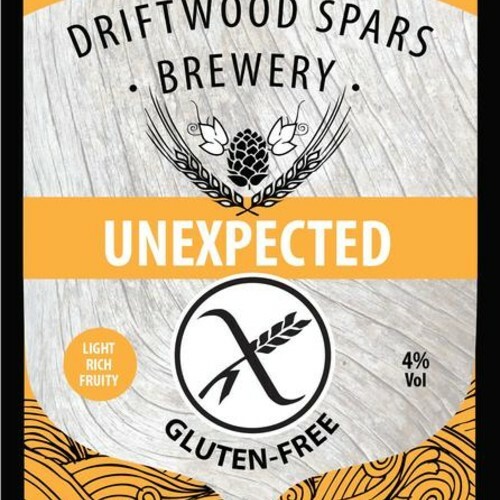 Here's a selection of the beers we make in our brewery, visit the Driftwood Spars Brewery website by clicking here for more information. Light, hoppy, citrus and grassy aromas. 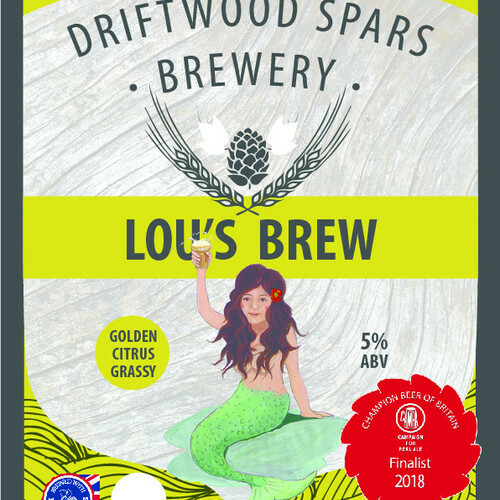 The Driftwood Landlady loves light hoppy beers, this was brewed for her and is now her favourite beer! Light session bitter with big hop flavour. 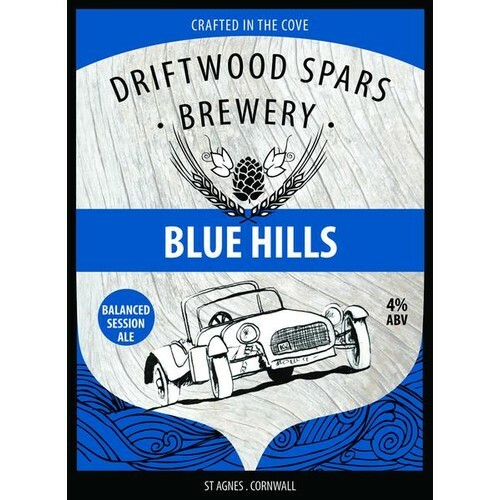 Named after the Vintage car race ‘The Lands End’ trial which takes place on the ‘Bluehills’ behind the Driftwood Pub every Easter. Rich, dark, chocolaty, malty with a slight bitter finish. Bolster was the tyrannical giant of the parish, he was slain by St Agnes who made him bleed to death into the sea. A hoppy and clean flavoured bitter. Named after the Rocks located just beyond Trevaunance Cove. Cornwalls first gluten free beer, a light beer with a slight sweetness balanced with woody and molasses hops to give it body. Flavour hops provide fruit, berry and a slight citrus touch to excite the palate. A strong rich ale with a deep polished red colour. It has a big malt flavour with chocolate and biscuit notes. The sweetness of the alcohol is balanced by a hop bite provided by a blend of English hops giving hints of resin, grass and herb with a touch of spice. The finish is long and lingering leaving warming rich malt mouthful. A rich red ale with hints of chocolate and caramel in the malt complimented by a slightly citrus hop finish. A proportion of the sales fromm this ale is given to Cornwall Air Ambulance for whom the beer was originally designed.